SEOUL, Aug. 10 (Yonhap) -- The main opposition Liberty Korea Party (LKP) on Friday called for a parliamentary probe into allegations that ships suspected of carrying North Korean coal have entered South Korean ports in possible violation of U.N. sanctions. The government earlier said it is looking into nine cases of suspected North Korean coal shipments. Later in the day, the state customs agency plans to unveil the results of its probe. 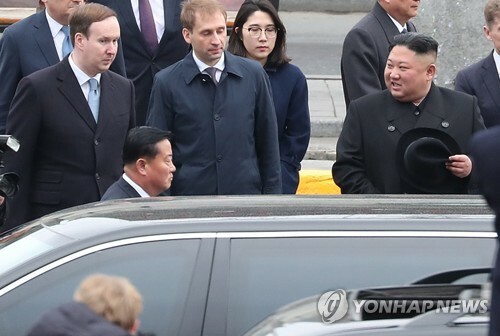 "The issue guarantees a parliamentary investigation as it can severely hurt national interests," Kim Sung-tae, the floor leader of the LKP, said at a meeting with party officials. "This is a grave diplomatic issue that cannot be neglected. We need to reveal who might have violated U.N. sanctions resolutions or whether the government was aware of (the entry of suspected ships)," he stressed. The North is banned from exporting coal, iron ore and other mineral resources under Resolution 2371, passed in August last year. U.N. sanctions call for a country to capture and look into a vessel suspected of engaging in prohibited activities with North Korea.